This year, Andrew and I decided to take a family trip to Disney World. We wanted to go some place warm and we were debating between San Diego (to make up for the Sea World trip that never happened due to plane problems), Hawaii, and Disney World. We were torn between Hawaii and Disney World because either trip was going to be a great deal. We even asked Jadon if he wanted to go to the beach (Hawaii) or to something like Disneyland (Disney World). Surprisingly, he chose the beach even though he's been wanting to go back to Disneyland ever since we came back home. We eventually decided on Disney World after exploring our options and my cousin, Heather, her husband, Jason, and their daughter, Kaitlyn, were also going to go the same time as us so it was perfect. So the planning began. We decided to stay at Disney's Caribbean Beach Resort because we loved the theme. We especially liked the pirate ship themed pool complete with water cannons and the beaches. Our biggest concern with this trip was that we would have a difficult time getting Jadon to ride any rides. In Disneyland, it was a constant struggle full of crying and whining to get him to ride anything other than the "it's a small world" ride (which we rode over and over again). We started about a month or so early with Jadon and told him he was going to Disney World and that he had to ride the rides we took him on without crying. I'm a big over-planner and so I went to the library and borrowed a few Disney World books so I could be more familiar with everything before getting there. I went to Disney World when I was a sophomore in high school for a cheer competition, but it was a very short weekend there and I wasn't fully aware of all the things I could do there. Andrew went in high school and his bad memory of anything means that he couldn't really help me with recalling anything. 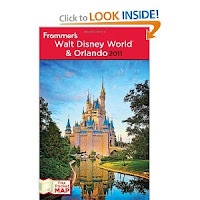 I have to say that the best book that I found for Disney World was hands down Frommer's Walt Disney World & Orlando 2011. I also looked at a couple of other books but this one was by far the best book for us. I highly recommend getting this if you're planning a trip to Disney World. It looks pretty thick, but about half of it is Disney World and the other half is the other things to do in Orlando. This was basically our trip bible. Andrew thought I was a little nuts for being so thorough but this really saved us and helped us plan our trip and to also be informed on all the other lesser known things that they have in Disney World. Another resource that helped us a lot with Disneyland and helped some with Disney World is MouseSavers.com. This site has lots of great tips about visiting either of these places. Another thing I wanted to do in preparation for our trip was to load up on Disney themed things before we went there, so we wouldn't be too tempted to buy too much there and so we could also be ready for any occasion. 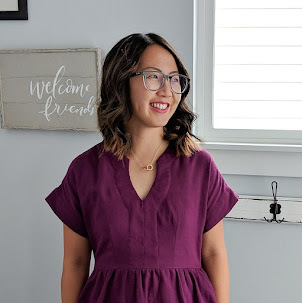 Isabelle was able to borrow a pink Minnie Mouse dress from Kaitlyn and I tried my sewing skills out again to make her a red Minnie Mouse-esque top complete with ears and a bow. Jadon already had some Disney shirts so we just bought him another one and he was pretty set. I usually tend to overpack but it worked out perfectly this trip and we had just enough of everything to get us through it. Jadon's shirts unintentionally even matched up to whatever it was we were doing that day. For example, he had a tiger shirt to wear to Disney's Animal Kingdom and a Popeye shirt from Italy to wear to Epcot. I couldn't have planned it better if I tried. Now, getting to Disney World turned out to be harder than we could have ever imagined. We decided to take a later flight than Heather, so that we wouldn't have to try to wake up our kids super early and so we could try to get in a nap for Isabelle. We had a hard time getting her to nap though so that was already more challenging than we thought it would be. We were supposed to land in Orlando at 11 PM EST, which is 9 PM for us. We ended up landing an hour later because the airport had everyone at a standstill because of some sort of misunderstanding with a possible security breach. The flight wasn't too bad with the kids except that they were both on top of Andrew practically the whole time while I sat there watching TV feeling very queasy. They didn't seem to be affected during take off or landing which was nice for us and the rest of the people on board. Upon landing, we got our Phil & Teds stroller, which was gate checked to avoid any harm being done to it, to find out that one of the rear wheels had a flat tire. We didn't know if it was just flat or if it was definitely in need of a replacement, which of course is a massive problem for us. We took our P&T because it was a manageable sized double stroller for both the kids. Andrew wanted to bring the Maclaren stroller, but we knew that Jadon would want to sit too so we opted for the P&T instead which of course seemed pointless now that it was possibly out of commission for the trip. We didn't get to our hotel room and into bed until 2 AM. We got to our room to find out that we didn't have a crib in our room and we didn't want to call for one so late so we just chanced it and hoped that Isabelle would sleep in our bed. She's a better crib sleeper and hasn't ever slept in our bed for an entire night. Thankfully, we were all so tired that we almost instantly fell asleep. I love all the details! Can't wait to hear the rest! I'm glad you like all the details!